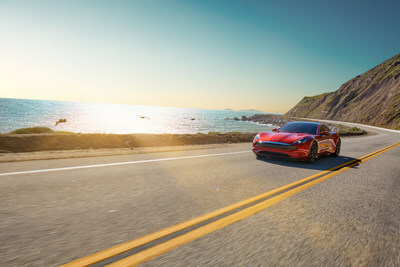 SHANGHAI, April 16, 2019 /PRNewswire/ -- Southern California-based Karma Automotive chose Auto Shanghai 2019, the world's largest automotive show, to usher in a new era for the company and launch its New Dawn product showcase illustrating its immediate, mid-term and long-term future. Karma's New Dawn Features "Shanghai Big Three"
A new 2020 Karma Revero GT luxury electric vehicle: it's fast, smart, stunning in design, and will be available for sale during the second half of this year. The new car offers improved technology, performance, interior and exterior options and customization capability. It features a TwinPower Turbo three-cylinder in-line engine supplied by BMW AG to power an on-board electric generator and enhance overall vehicle performance. Karma engineers created a world-class electric drive system that alongside a series of other technological advancements enables the new 2020 Revero to be as fast as it looks. 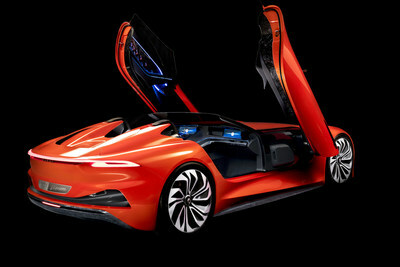 The Karma SC1 Vision Concept: a signpost to Karma's future – one that recognizes and embraces full electrification. The roadster reimagines Karma design language for tomorrow and soon-to-come customization options, and shows the brand's future direction based on full BEV offerings at the company's core. The Karma SC1 Vision Concept features the best of some of tomorrow's cutting-edge technologies with Karma's distinctive take on integration. At the core of SC1 Vision Concept's technological suite is a new infotainment architecture with 5G connectivity as well as a humanized communication system, which integrates touch, voice, eye, and graphical interfaces to enable seamless interaction with the roadster. "Taken together, our Shanghai Big Three shows what Karma is today, what Karma can be tomorrow, and where Karma is heading in the future," Zhou said. As part of its Value Forward business strategy, Karma is pursuing an "open-platform" philosophy to attract partners, technology and know-how, create efficiency and enhance long-term brand value. Karma's luxury electric vehicle niche and in-house engineering resources offer innovators an excellent test bed to incubate, grow and prove their emerging technologies, creating opportunities for the company to generate new revenue streams for its customization and technology expertise. "We are agile, nimble, and can move fast with a deep sense of urgency; that's Karma's big advantage," he explained. "We will use partnerships with like-minded collaborators to accelerate our progress by acquiring and developing key technologies important to connectivity, performance, artificial intelligence, shared mobility platforms and electrification." Zhou's plan is fueled in part by partners like Pininfarina whose design expertise helps the company accelerate product development, differentiation, and personalized customization that allows every Karma to be special. 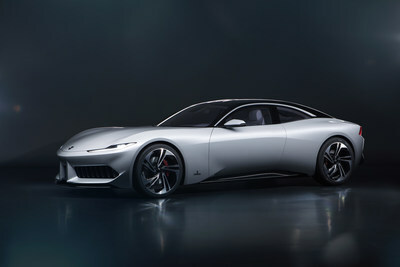 Pininfarina is attracted to Karma, Zhou added, because its luxury electric vehicle platform can help advance their growth strategy in North America, especially after opening a new design center in Los Angeles. "This kind of collaboration illustrates Karma's open-platform philosophy," Zhou said. "Partners can use our product platform as an incubator to test and prove their new innovations, and likewise, our engineering and design resources can be offered to help other partners advance their needs. So, yes, Karma is a car company but Karma is not just a car company." "We have the advantage of private equity backing from extremely supportive owners who are allowing us to grow the business progressively and smartly," Zhou said. "We are focused on a gradual, but progressive rollout strategy aimed at putting the building blocks of a car company in place – a growing dealer network, committed supply chain, craft center and a talented workforce." By establishing Karma in the U.S. first – the world's most demanding luxury market – Zhou said he believes the company can succeed anywhere. "Karma will be live in Europe and the Middle East next year and then Asia," he added. "We will be in China by 2021. By gradually expanding our presence this way I am confident our company – and our products – will be well prepared for the discerning Chinese luxury buyer of the future." Representing a total investment of more than $100 million, Karma's innovation and customization hub first came to life in 2015 and now comprises the very latest in automotive technology and tooling over a sprawling 556,000 square feet under one roof in Moreno Valley, Calif.
"The name, Karma Innovation and Customization Center, reflects our future focus and growing skillset centered on innovation, customization and technology integration," Zhou said. "KICC's skilled workforce take great pride in delivering distinctive luxury electric vehicles with world-class design, technology and personalization." Karma's exclusive design and craftsmanship allows it to take customization to a new level enabling every Revero to be special, and supports a fundamental commitment to unrivaled customer treatment. KICC will also house a VIP Customer Experience Center offering every Karma owner a personalized look into the company's focus on luxury, high technology, customization and special treatment. "While many other business have left our region in search of less regulation and easier paths, Karma chose to do business in California for the long term," Zhou said. "Karma and California are united in spirit. This is home to innovators, entrepreneurs and big thinkers; a land where anything is possible and where the next generation of luxury will come from. That's why I want Karma to become California's shining star."